The Duchess of Cambridge is once again suffering from this pregnancy condition. Prince William offered an update on his wife's condition this week as she battles hyperemesis gravidarum. On Sep. 4, Kensington Palace announced that the Duchess of Cambridge is expecting the couple's third child. The announcement noted that, as with her previous pregnancies, she is suffering from hyperemesis gravidarum ― a condition that involves severe nausea, vomiting, weight loss and dehydration for expectant mothers. 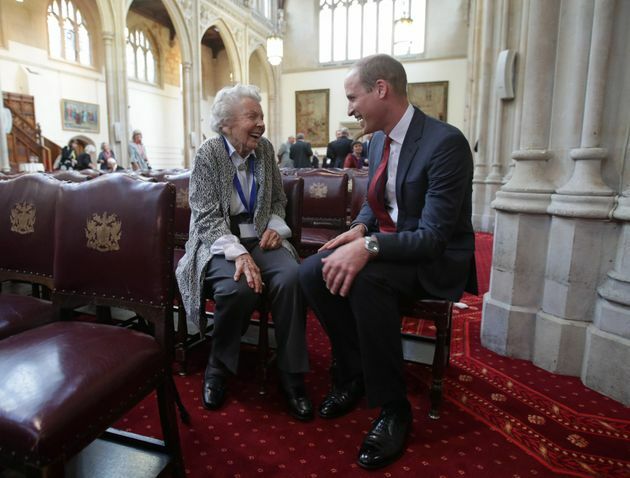 On Wednesday, Prince William attended an awards ceremony and reception for the Metropolitan and City Police Orphans Fund, where he spoke to 98-year-old Iris Orrell, an award recipient who'd suffered from hyperemesis gravidarum herself. 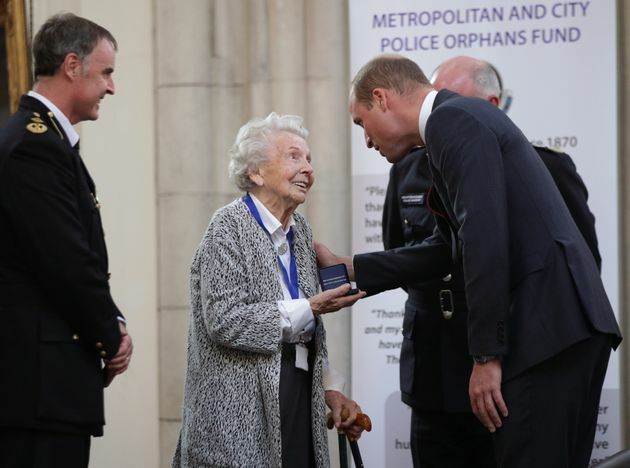 On Wednesday, Prince William attended an awards ceremony and reception for the Metropolitan and City Police Orphans Fund, where he spoke to 98-year-old Iris Orrell. During their conversation, Orrell spoke about her experience with hyperemesis gravidarum. According to Express, she told Will her doctor advised her to try "dry biscuits." The prince revealed that Duchess Kate has tried to ease her sickness with ginger. "Ginger biscuits — but there's not much ginger can do to stop that. We've done all that," he said. Prince William also asked Orrell if her hyperemesis gravidarum got worse with each pregnancy, to which she answered yes. Ultimately, the award recipient wished the duchess well. "She is feeling better, thank you," Prince William replied. Kate's illness has caused her to miss a number of events, including Prince George's first day of school. The little prince, who started at Thomas's Battersea on Sep. 7, is reportedly a bit fed up with school already. Louise Smith, a mother of two who spoke to Prince William during his visit to the town of Milton Keynes on Tuesday, told reporters about their conversation. "It was really exciting meeting William," she said. "He told me he'd just dropped Prince George off at school and he didn't want to go. Sounds a bit like mine, really."